Emergency call stations have become an essential aspect in college campus security. If you’ve been to a college campus in recent years, you may have noticed the lingering sense of uncertainty about safety. This is because even on relatively safe campuses, there’s still a large concern over privacy and what students can do to keep themselves safe. This is evident in everything from college dorms taking advantage of access control systems to campus police officers stepping up their efforts nationwide. One approach to improving campus security and safety is the use of emergency call stations—so let’s take a look at who and what they are for. 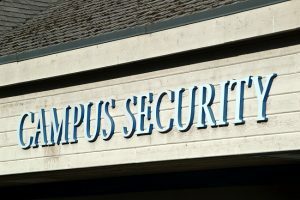 Most college campuses have already invested heavily in building security, whether that includes physical security forces, ramping up campus police presence, or installing access control systems in every building. As a result, many crimes that occur on campuses end up taking place in open spaces. This also means that these are crimes of opportunity—like mugging someone who simply isn’t paying attention to their surroundings. Emergency call stations are designed and implemented in a way that offers maximum visibility. This includes installation in areas that are especially susceptible to these crimes and also flashing strobe lights to make it even more apparent to victims that it’s a source of emergency aid. One of the first things that new students should familiarize themselves with is the design and location of these call stations. In some areas, constant on-site surveillance just isn’t a feasible approach. Likewise, having enough personnel to cover all of those open spaces on a campus is neither cost effective nor effective in a functional sense. Instead, emergency call stations allow victims to contact security or police immediately, removing the need to fumble with their phone and figure out who to contact. Additionally, it offers a general sense of safety across the campus as a whole and works as a deterrent to prevent potential crimes from taking place. This entry was posted on Friday, October 5th, 2018	at 1:24 pm	. You can follow any responses to this entry through the RSS 2.0 feed. Both comments and pings are currently closed.